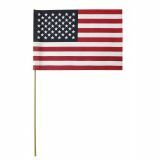 Hand held Mini US flags are great way to show your patriotism during parades, sports games, national holidays, and other public events. Show your American pride and save a pretty penny with our great deals. Our 100% Made in the USA flags are available in various styles including mini flags with spearheads, safety ball tops, and no tips. We have a range of hand held Mini US flags in various sizes from the traditional 4"x6" to upgraded 6"x9" and 8"x12" sizes, . Shop right away and receive the best prices, quick shipping, and much more! 100% customer satisfaction guaranteed! 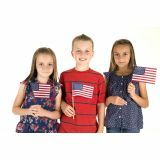 Made in the USA and made to meet the highest quality standards for giveaway flags, our Handheld Mini U.S. Flags are well suited for parades, political rallies, July 4th events, school rallies and as indoor table decorations or as give-a-ways. 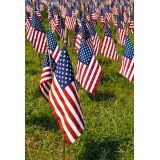 Our handheld mini U.S. flags will make a fabulous addition to your 4th of July and Memorial Day event supplies. Wave it at the 4th of July parade or distribute it to the guests at your backyard BBQ and celebrate your American pride in true style. You can even hand these out to the local sports team you support. 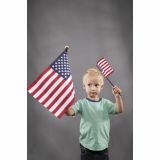 Every time they cheer their team, these Handheld Mini U.S. Flags will draw instant attention from people around. 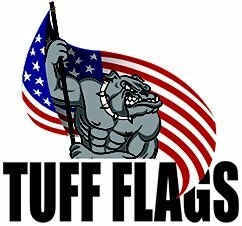 Tuff Flags has an impressive selection of Handheld Mini US Flags in all possible styles and prices. 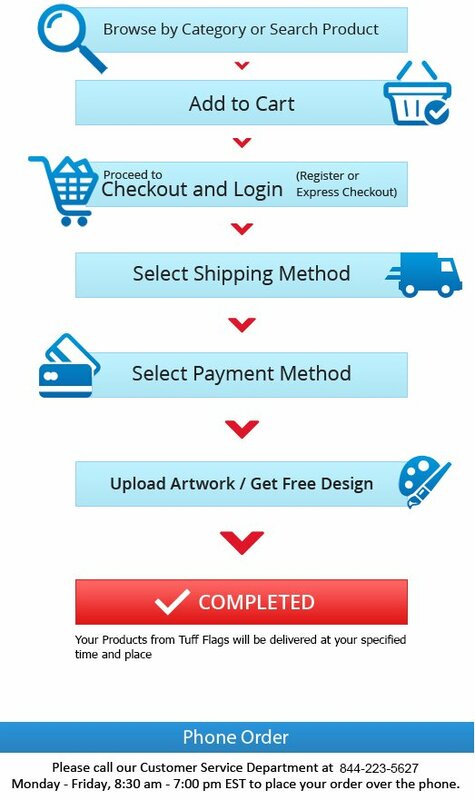 Start shopping today and should you need any suggestions, tips, or ideas, call us at our toll free number (888) 287-3524 or email us at customercare@tuffflags.com and we will help you find the best option.